Christmas will be here before you know it. 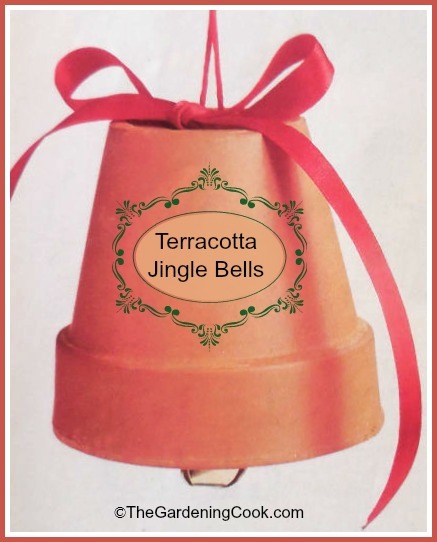 If you are looking for a special DIY Christmas gift for a gardener, these giant jingle bells will ring in the festive season in a natural way. 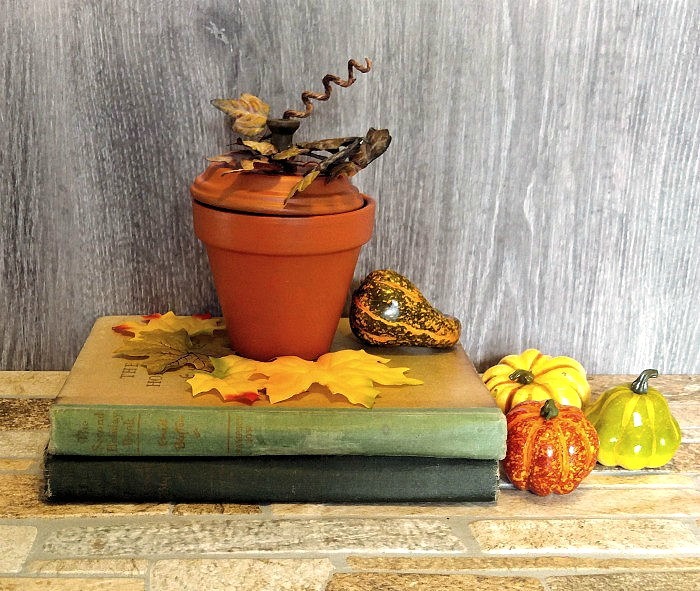 They are easy to make and are a great gift idea for anyone who loves to potter in the garden. You can place them as single decor accents – near your front or back door would be great. For a special effect, make them in different sizes and hang them in clusters. They will peal out happy festive greetings when you give them a gentle push. Wash your pot if it is a used one and allow to dry. If you like, you can use paint pens to add some festive decorations but I like them just plain. Thread the cotton cord through the hole in the bottom of the pot, being sure to make a very large knot that will sit under the hole to hold the upside down pot in place. The bell should hang just slightly below the bottom rim of the pot. The top of the red cord has to have a loop so that it can hang from above. Tie your red ribbon around the top of the pot to hide the hole opening, leaving ends to hang down over the side of the pot. Hang your over sized jingle bell from the loop at the top and give it a gentle push. 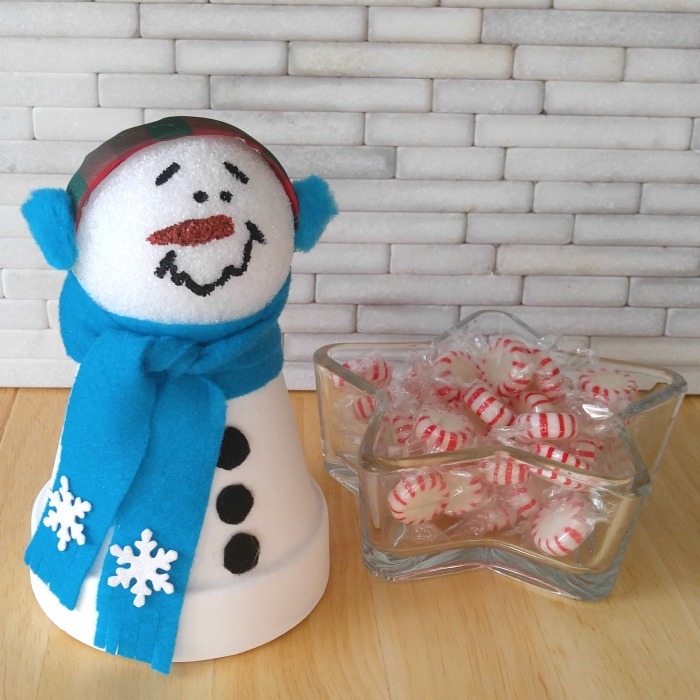 I recently used a smaller clay pot to make a cute Clay Pot snowman. You can see the tutorial for that project here. 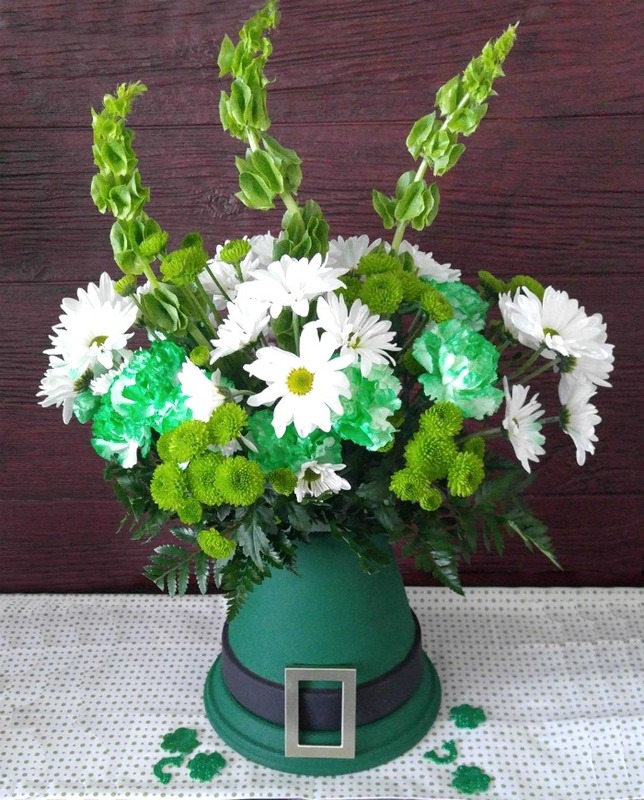 And this amazing Leprechaun hat centerpiece is perfect for St. Patrick’s Day. And my latest project is this fun clay pot pumpkin candy dish for fall. This is just the cutest idea! I’ve pinned it to one of my Christmas boards. Looking around your awesome site to get better acquainted with you! HI Jane, Welcome! Glad you liked the post. Have fun browsing. Cute! I think a big button would work really nice in place of the large knot.